– an open-access web resource containing eruption histories of Icelandic volcanoes, their characteristics and hazards. 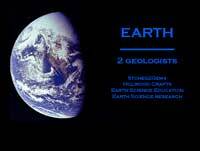 …the blog of the Seismology (SM) Division of the European Geosciences Union (EGU). This blog serves as a platform for the seismology community to share news, events, and activities, as well as updates on the latest research. It is especially dedicated to the EGU young seismologists. The blog is run by Matthew Agius. Vhub.org is a site for collaborative volcano research and risk mitigation. Use the menus to browse available simulation tools, data resources and links to all things volcanic. Visit world volcanoes, where you can find useful information about volcanoes around the world. You can find out volcanoes locations by country, area, and also by latitude and longitude. Third Edition of "This Dynamic Planet" chart. 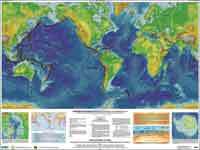 The map, ca 44 x 58", is printed on both sides. On one side is a world map showing topography, plate boundaries, impact craters, plate absolute and relative motions, volcanoes, seismicity, etc, and on the other, the two polar caps with subice and ice surace topography at bottom. It is printed on a plastic-type medium, rolled only, and costs $14 each. The second edition (1994) has been widely used for teaching, and nearly 100,000 copies were sold, a USGS record. The isotope geochemistry/crust-mantle geochemistry lecture notes of William M. White, Cornell University. An educational resource that describes the science behind volcanoes and volcanic processes. Theory of the Earth is out of print but is now available on-line. It is an extensive summary of the physics, chemistry and physico-chemical evolution of Earth and synthesises our present understanding of its interior. Anderson, D. L., Theory of the Earth, Blackwell Scientific Publications, Boston, pp. 366 (1989).